You are bidding on * live bare root seedlings with starting root systems * inches tall with bifid leaves born and grown in Hawaii. Malayan Gold Dwarf Coconut makes a beautiful accent on the lawn and provides nice filtered shade for the patio. 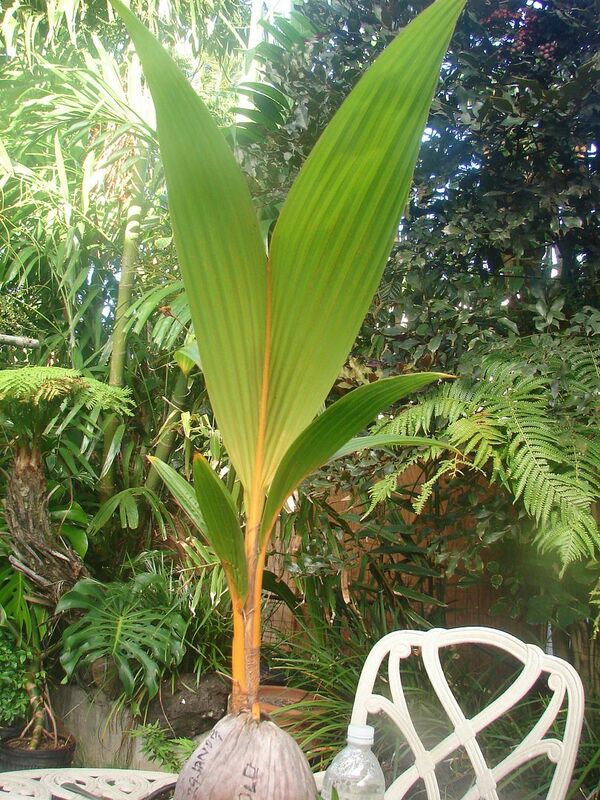 The Malayan Gold Dwarf Coconut is very salt tolerant and is at its most sensational when planted beachside where the sea breeze can rustle its huge feather leaves. 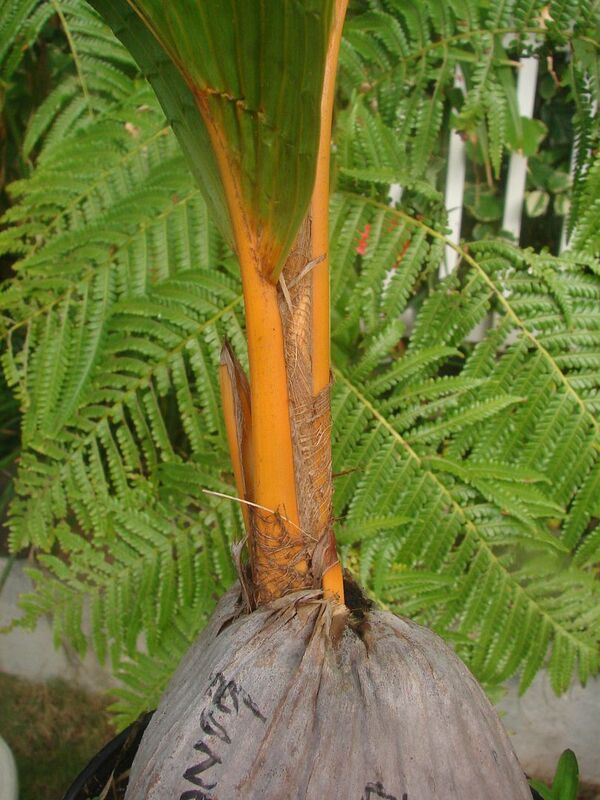 Malayan Gold Dwarf Coconuts are small drupes, ovoid in shape, up to 12" long and 10" wide. The exocarp or skin is yellow to gold, turning to brown with age. The mesocarp is fibrous and dry at maturity. During the last two decades, coconut palms in south Florida have been attacked by a microorganism that causes a fatal disease called lethal yellowing. 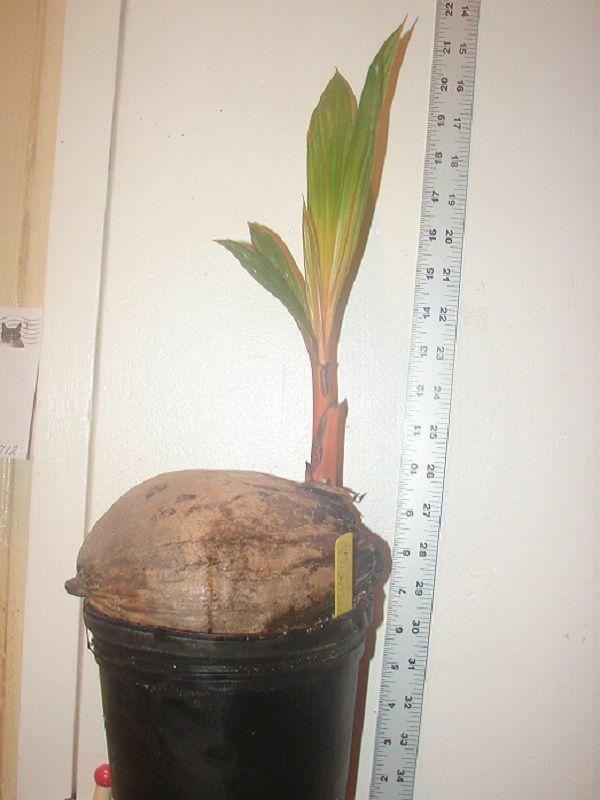 Fortunately, Malayan Gold Dwarf Coconut is lethal yellowing resistant.